From Gallipoli comes the news (published in the Times yesterday) of the death of the 9th of our Old Boys to die in this War. 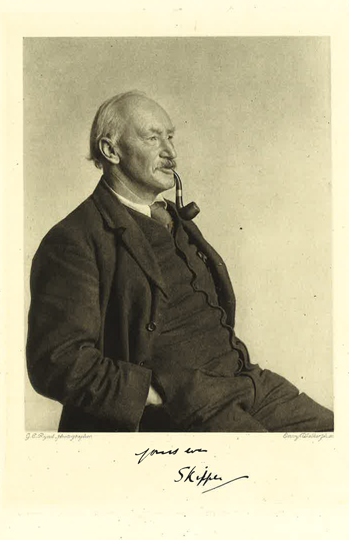 Basil left the OPS in 1889 and I remember him as a rather shy, diffident dayboy, who “found himself” later on. After attending Bedford Grammar School, on the outbreak of the Boer War, he joined the Imperial Yeomanry, Paget’s Horse, 52nd Company. Basil transferred to the Hampshires in 1901, receiving a commission. Earlier this year the 2nd Hants. were sent out to Gallipoli, where he was wounded in May. He made a swift recovery and returned to his unit. 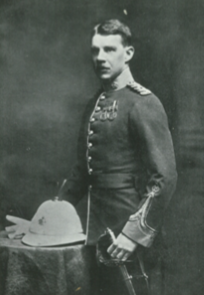 In order to assist the opening up of a third bridgehead at Suvla Bay, north of the Anzac position, there were diversionary attacks both on the Anzac and Cape Helles fronts and Basil Parker was involved in the Charge of the 2nd Hants at Krithia on August 6th 1915. Basil leaves his wife Kathleen and a son, Gerald Stewart Parker, born last year in Indore, Central India. Thank you for supplying such incredibly detailed information about my grandfather, Basil Stewart Parker. I visited the Gallipoli peninsula five years ago – visiting his grave. The area is now a National Park and one of great beauty – it is now hard to imagine such a brutal conflict taking place there. I do wish that more Brits would visit. Whilst there I only chanced upon one British family but scores of Australians, plus a few New Zealanders. Also, there are plenty of Anzac Tours but none such commemorating British/French forces. However, I found a brilliant guide, Eric, who really helped me to get the most out of my trip.